China, as reported by the ABC, has recently changed its legislations to ban the import of 24 different categories of foreign waste. Industry has signalled to government for a long time that relying on the export markets for recyclables was dangerous and now we find ourselves, with the change in China's legislation, walking towards this inevitability. "Whilst stockpiling is a legitimate business practice, we know that the community is not happy with simply stockpiling recyclable materials, they rightly want this material to be used in making other products in Australia- reducing reliance on natural material," said Gayle Sloan, WMAA CEO. Australia needs to act now to ensure that the Circular Economy is real, which means consumers, industry, government and generators of waste starting to work together and think a bit differently to use recycled material in as many products as possible that we make here. "It is not enough that products we purchase in Australia are capable of being recycled, we need to ensure that they are also made from recycled material," said Ms Sloan, "in this way we can create real demand for commodities like those that households put in their yellow bins." This is simply too important an issue for the Federal Environment and Energy Minister, Josh Freydenberg to continue to repeat his mantra "it is up to the States," this is one that the Federal Government actually needs to "step up to the plate on," said Ms Sloan. "The best first step would be sustainable procurement being introduced nationally by all, allowing government to actually walk the talk and model these behaviours," said Gayle Sloan. The added benefit of moving to a Circular Economy is increased job creation. Studies have found that for every 1 job involved in landfilling 10,000 tonnes of waste, over 4 can be created through recycling. Investment in new recycling infrastructure creates construction jobs and economic activity that provides a real boost to local economies. While the change in China's legislation can be seen as a short-term "crisis" in reality the change to a Circular Economy will not only bring long term employment, through Green-Collar manufacturing, but also sustainable economic growth. "We have seen the change that programs like War on Waste have had on supermarkets; let's get the changes we need to ensure that packagers are using recycled products as an input in all they do – but we cannot do this without the support of Government," said Gayle Sloan. Container Deposit Schemes are being introduced nationally, and while this is a great way to collect containers for recycling, the key is that the recycled product made in Australia is used by the beverage companies that participate in this scheme take it back and use it in their packaging. Only then we will be circular and fix some of these issues. WMAA and the industry have had semi-circular conversation with the industry, generators, and the community – all of whom want to see a change to a Circular Economy as quickly as possible, as we all see the benefits. Hopefully China will force the governments hand to join us at the table and close the loop. The Waste Management Association of Australia (WMAA) announced the winner of the 2017 WMAA Women in the Environment Award at the Victoria Branch Christmas Dinner last night. The dinner was well-attended with representation from across the waste sector, it was great opportunity to come together and celebrate the end of year with industry colleagues. The award began as an initiative of the WMAA Victoria Branch, and recognises the achievements of women in the environment industry. In 2015, the award - sponsored by Blue Environment - was opened nationally to all eligible women who have made a significant contribution to environmental sustainability in Australia over the past five years. This year a record number of nominations were received, many of which reflected significant experience in the waste industry. "It's pleasing to see the depth and number of nominations reflecting the important role of women in changing the face of the waste management industry," said Christine Wardle from Blue Environment. We are pleased to announce that this year's recipient was Jade Barnaby. Jade has played a significant role in product stewardship issues at Sustainability Victoria, including helping to launch Paintback, the national scheme for collection and recycling of waste paint, and managing the Victorian battery take-back program. She also helped expand the National Product Stewardship List to include photovoltaic systems. 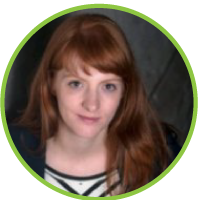 Currently she is developing a world-first verification process for cradle to grave recycling of tyres in her role as National Accreditation and Compliance Manager with Tyre Stewardship Australia. "Continued cooperation and collaborative work across all sectors of industry and Government, as well as trying different approaches and risking failure, is required if we are going to tackle the increasing complex challenges of waste management and other environmental and sustainability issues," said Jade. ""I would also like to thank WMAA and Blue Environment for this award and their continued support of women working in the waste and resource recovery industry." View PDF Media Release here. The Waste Management Association of Australia (WMAA) today launches the 'Waste of Origin' Pledge, to challenge the industry to join the fight against irresponsible, dangerous and environmentally damaging practices in the sector. Australia's peak national body for the waste and resource recovery industry is calling on members, operators and stakeholders in the sector to sign a Waste of Origin Pledge. WMAA is pleased to announce that already two of Australia's most influential companies in the sector, Suez and Remondis, have signed-up and will advocate best practice for the industry, advocating that, in principle, waste should be disposed of as close as possible to the source of its generation. Unfortunately, a small number of waste industry operators continue to use irresponsible and dangerous practices including transportation of waste over many hundreds of kilometres to avoid paying landfill levies and gain a commercial advantage. To date this small number of unscrupulous operators have been left unchecked and not held accountable for their actions because they are able to take advantage of regulatory loopholes.They also fail basic, well accepted principles like the waste management hierarchy, which encourages reduction, reuse and recycling, with disposal as a last resort. "WMAA wishes to achieve sustainable and environmentally sensitive waste management across the entire industry," said CEO Gayle Sloan. "My members see environmental stewardship and protection as key principles of their businesses. "The industry is taking the lead on best practice. My members are sick of their reputations being damaged by the actions of the sector's lowest common denominator." It is time for the States and the Commonwealth to work together to solve this burgeoning issue and to encourage reduction, reuse, recycling, treatment, and disposal only as a last resort. "We want to see waste managed as close as possible to where it was produced. Transportation of waste over long distances is irresponsible, dangerous and environmentally damaging. "However industry action alone will be ineffective without harmonised regulation. "Right now inconsistent State regulation creates a massive incentive for hundreds of thousands of tonnes of waste to be transported many hundreds of kilometres. This creates environmental harm and this situation must stop and we once again call on state regulators to support legitimate operators by closing the loopholes that create an uneven playing field," said Ms Sloan. In 2016, more than 650,000 tonnes of waste was transported to Queensland from New South Wales, as well as between southern states. This interstate waste transportation was undertaken by a few operators with the explicit aim of avoiding paying landfill levies to gain a commercial advantage. Transportation of waste over many hundreds of kilometres creates: increased heavy vehicle traffic and congestion; additional fuel consumption and increased carbon emissions; increased risk of accidents, waste spillages, contamination and environmental damage. "Australian businesses and communities are entitled to have confidence that the waste management sector is managing their waste responsibly. Waste operator signatories are pledging responsible waste management, effective immediately, and in advance of any regulatory response from government. "The pledge is open to all industry participants and stakeholders. We also call on our State, Territory and Federal Governments to work with industry and develop effective action and get sound regulation and enforcement in place to solve this critical environmental problem." WMAA supports inquiry into the future of Australia's recycling industry. The Waste Management Association of Australia (WMAA) is the national peak body for the waste and resource recovery Sector in Australia. Responding to Australian Greens senator Peter Whish-Wilson, WMAA welcomes moves to establish a Senate Inquiry into the future of the recycling industry. "WMAA is in full support of harmonisation of the industry at a federal level." said WMAA CEO, Gayle Sloan. "A Senate Inquiry is a great opportunity to create more federal discussion about the actions we can take to ensure this sector is able to provide even better services to the people of Australia." The industry and WMAA have been highlighting the problem of landfill price disparity and its subsequent impact on the recycling industry for years. The Australian Greens have, today, secured the inquiry in the future of Australia's recycling industry. "We support and endorse this inquiry into illegal dumping," said Ms Sloan. "WMAA welcome efforts to establish a level playing field and ensure the legitimate business practices of the many are not undermined by illegal actvitiy of a few." "WMAA wants to see the federal government taking a more active stand and scrutinise what is going on in the recycling industry," said Ms Sloan. "There are too many examples of loopholes that we all know need to be closed, but which clearly have not been fully addressed by each jurisidiction working in isolation." WMAA will continue working with industry to lift standards for the better, this involves an integrated approach including harmonised state waste policies. WMAA recognises Senator Whish-Wilson for his role in championing this federal inquiry and his desire to "identify what can be done to keep the good operators going." The Australian waste and recycling sector employs over 50,000 people, and by and large ensures the safe and efficient management of the more than 50 million tonnes of waste generated across the country each year. "WMAA supports positive action to improve the operating conditions for the majority of reputable groups in this industry, and absolutely supports efforts to stamp out the rogue elements that can damage the reputation of the industry as a whole", said Ms Sloan. The Waste Management Association of Australia (WMAA) is the national peak body for the waste and resource recovery Sector in Australia. The waste management sector provides an essential service for Australians. The industry itself is made up of 50,000 people who work hard every day and are passionate about recycling and recovering resources. "Unfortunately, there are some operators who do not meet the high standards which the majority of the industry follows. That's why good regulation is needed to continue to develop a waste and recycling industry which is fair, safe and sustainable for all," said WMAA CEO, Gayle Sloan. The issue of interstate transportation and landfill levies is not new. Industry and WMAA have been highlighting the problem of landfill price disparity for years. The solution is a harmonised approach to landfill levies across Australia, which need to be set at a high enough level to reflect the true cost of landfilling, and to encourage alternative recycling approaches. "NSW has the highest levies, and it's also investing the most back into the resource recovery sector, with over $800 million being returned from the levy. Meanwhile Queensland has one of the worst recycling rates in Australia, and its current policies are undermining legitimate businesses in NSW," said Ms Sloan. Stockpiling is a standard management practice for recyclers. The fact that Australia doesn't make enough new glass to soak up all the recycled glass has already been reported, and what we need to be talking about are new sustainable markets for recycled products. "We need Governments to stop paying lip-service to 'sustainable procurement' and actually commit to buying recycled products when they can do the same or better job than virgin products. We have all the technology we need to solve these issues and make products that perform just as well or better than their virgin counterparts, and we know that the community absolutely wants the products they set out for recycling to go back into the productive economy." said Ms Sloan. "The challenge is making sure that recycling is commercially viable, and for that to happen we need people to put their money where their mouths are, and actually buy products that are made with recycled materials." "There are no free lunches. If the need demands a high quality product free of contamination and as a community we desire a reduction in the use of virgin materials, then as a community we need to be prepared (in some way) to pay for the additional cost of re-processing such that we can actually utilise almost all of the recycled product. Therein lies a challenge"
Like any complex service, there are always going to be opportunities to do things better, and if you compare the industry now to 10 or 20 or 30 years ago, it's clear that things have come a long, long way. WMAA wants to keep working with industry to lift the bar and do things better, this involves an integrated approach including harmonised state waste policies. "There has to be a shared responsibility for tackling challenges like the ones we've seen on 4 Corners; first up we need the community to care about waste and to support those thousands of people who are working hard every day to provide these essential community services; we also need our regulators to set and enforce minimum standards, and to stamp out the rogue elements and activities that give the whole sector a bad name; there are thousands of smart, innovative, people who are employed across our industry and who want to provide better and better services; when it has a level playing field the industry can and will show that it can continue providing services in a safer, more professional and more efficient manner", said Ms Sloan. The Waste Management Association of Australia has elected Mr Garth Lamb as the Association’s new National President for a term of two years. Mr Lamb, Business Development Manager of Re. Group, will replace Ms Miranda Ransome whose four year term has come to an end. "The Association is very excited to welcome Mr Lamb as the new National President. His experience and industry knowledge will be of great benefit in driving the Association forward and delivering great benefits to our members", said Gayle Sloan, WMAA Chief Executive Officer. Mr Lamb began in the industry more than a decade ago as a journalist and editor of Inside Waste magazine, followed by four years working with Hyder consulting as the National Business Leader for the waste and resource management team. Throughout his career, Mr Lamb has been a great supporter of WMAA. He has been an active member and in 2016, was elected as the WMAA NSW Branch President. "WMAA is unique, in that it represents the full breadth and depth of our vibrant and complex industry. We all play different individual roles, but the critical issue is making sure that the overall system works. WMAA provides an important forum for internal discussion and debate, where we can come together to learn from each other and work together to improve our sector", said Mr Lamb. WMAA and the Board would also like to thank the outgoing National President, Miranda Ransome, for the many years of her tireless work with the Association. Ms Ransome has been a WMAA member for more than 21 years, serving the last four years as WMAA President, and Vice-President before that. Her career and experience, which spans more than three decades in the waste and resource recovery sector, brought a high-level of industry knowledge and understanding of many of the technical, commercial and regulatory challenges facing the sector. Her commitment to the highest standards of responsibility, corporate governance and representing the interests of all members from all sectors had contributed greatly to building a stronger Association. WMAA and the Board would also like to thank Mr Geoff Webster for nominating to run for the position of WMAA National President. Mr Webster has been a WMAA Board member for the past three years. During this time, he has helped develop and implement a strategy that is shifting WMAA's focus to one which better engages and facilitates the needs of our members. "WMAA is a member based organisation, and the willingness of our members to put their hand up to volunteer their time and effort is key to the success of all we do. "Thank you to Ms Ransome for her dedication to the Association and the industry as a whole. Thank you also to all members who took part in the election", said Ms Sloan. Mr Lamb will commence the role of National President at the WMAA AGM to be held on Wednesday 21 June 2017. The Waste Management Association of Australia (WMAA), the peak body for the waste and resource recovery sector, supports and welcomes the increased spotlight being placed on the generation and management of waste in Australia. The waste and resource recovery sector contributes at least $14.2bn to the Australian economy, and is integral to the lives of all Australians, underpinning economic growth and employment. Effective waste management and resource recovery is linked to our quality of life, and plays a significant role in environmental and public health, planning and infrastructure, resource and energy production, and emergency management. Between 1996 and 2015 Australia's population rose by 28%. Yet waste generation increased by 170%. Whilst recycling is increasing to approximately 63% of all the waste generated, our efforts are not keeping up, with Australia still ranked as one of the highest waste producing nations. "We all need to rethink what and how we consume, as well as what we produce. As a nation, we need to move away from the outdated linear approach of 'take, make, waste', towards circular thinking of recycle, recover and remanufacture – where waste is actually a resource", said WMAA Chief Executive Officer, Gayle Sloan. "Ask yourself simply: do I really need to buy that? Can I bring my own reusable 'packaging' – a durable shopping bag, a water bottle or coffee cup? What happens when I no longer need it – can it be reused, repaired or recycled or will it end up in landfill? "Our industry is at the forefront of investing in recovering resources from waste. This reduces our reliance on virgin materials, saves greenhouse gases and creates jobs in the reprocessing sector. So when you decide to 'buy recycled' you help close the loop. We are committed to the waste hierarchy and we see landfill as only being the last resort", said Ms Sloan. "WMAA supports initiatives like the Australian Packaging Covenant that aims to change the culture of business to design more sustainable packaging. The Covenant has over 900 organisations as signatories and has contributed to an increase in post-consumer packaging recycling from 39% in 2003 to 61% in 2015. "It is encouraging to see that waste generation and resource recovery is not only beginning to gain greater traction in the political domain, but also in the community. 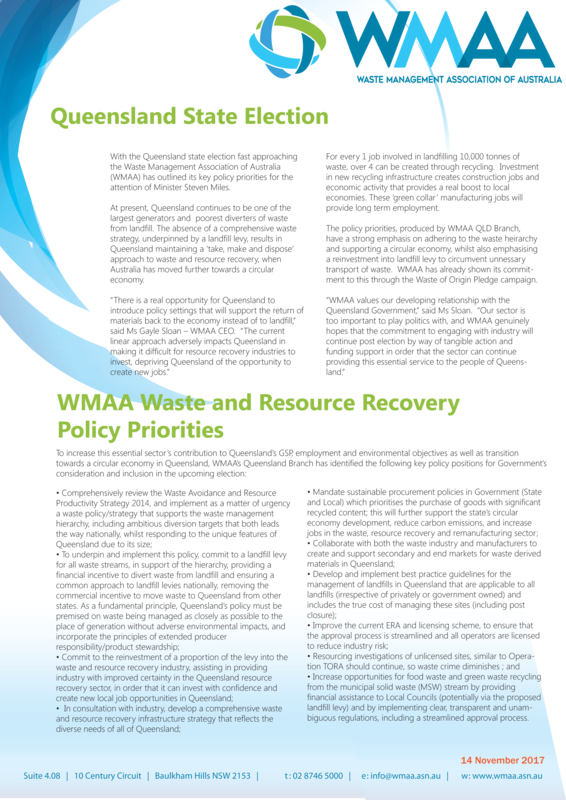 "We are excited by the discussions taking place – not only at state and Federal Government levels regarding policy development, such as Container Deposit Schemes and Product Stewardship, but also in the media and at the grassroots level. Thanks to programs like ABC's upcoming War on Waste, Australians are becoming better educated about waste and recovery, and are more aware of the amount of waste they generate annually. Their attitudes and habits towards waste and recycling are changing", said Ms Sloan. Visit War on Waste website. 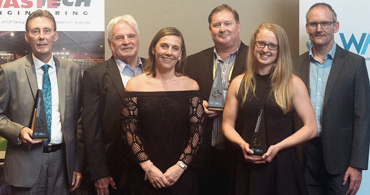 The Waste Management Association of Australia (WMAA) announced the winners of the 2017 National Landfill & Transfer Stations Innovation and Excellence Awards at the 2017 Australian Landfill & Transfer Stations Conference. The awards were established by WMAA in 2007 to showcase the best that landfills and transfer stations have to offer, with the aim of commending sites that are exceptional, and encourage best practice in operations. Magnetic Island is located 8 kilometres offshore from Townsville and is within the Great Barrier Reef World Heritage area, with approximately half of the island located within the Magnetic Island National Park. In order to protect the island's biodiversity, numerous conservation studies and community consultations were conducted during the development period, and a range of mitigation measures were employed to ensure there would be no negative environmental impact. The transfer station is designed to receive a range of domestic, organic and commercial waste for sorting and categorisation, with customers passing by a series of front-end recovery points prior to disposal on the push-pit floor. These recovery points include facilities for oil, batteries, metals, garden organics, white goods, paints, tyres, gas bottles, marine flares, e-waste, comingled recyclables, bulk cardboard, and mixed chemicals. Waste is enclosed within fully sealed, lidded containers within the transfer station, with the ability to be closed and locked down when not in use, thus minimising odour and vermin issues. The addition of a hook truck and dog trailer to the TWS fleet allowed for multiple containers to be removed from the island at once. Due to this increased capability, specially designed, sealed 10m3 containers were constructed for the transport of biosolid waste from the island's two wastewater treatment plants. Provision at the site has also been made for a dedicated resale area that aims to promote reuse and resale of goods. The construction of the transfer station has also allowed the Picnic Bay Landfill to be closed to the public since 7 March 2016. Dulverton Waste Management (DWM) provides holistic and environmentally sustainable landfill and organics recycling services for industrial and public sector clients across Tasmania. The DWM landfill is located near Latrobe in north-west Tasmania. DWM's independently certified and audited Environmental Management System (EMS) is embedded in landfill operations, used daily by staff, and backed by comprehensive environmental policies and processes. The landfill, with a life of 70-plus years, has a detailed aftercare plan, which has a voluntary financial reserve that is demarcated for ongoing monitoring and site improvement. Landfill cell design optimises the natural containment advantages of the site's former clay quarry. Within the landfill boundary, a covenant protects the habitat of the endangered burrowing crayfish and giant freshwater crayfish. Water quality is preserved via DWM's leachate pumping system featuring over 7 kilometres of pipeline for safe processing at the Latrobe sewerage system. Odour and litter are minimised through daily waste covering at the tipping face and precise landfill compaction. The DWM landfill was the region's first to operate a landfill gas system to extract methane and assist in annual carbon abatement of approximately 10,000 tonnes CO2-e. The landfill is also the smallest in Tasmania to implement this environmental initiative. The DWM landfill also incorporates Tasmania's largest compost facility, diverting more than 29% (22,240 tonnes) of waste into high-quality compost certified to the voluntary Australian Standard for Composts, Soil Conditioners and Mulches (AS 4454). Work is underway to extend this waste minimisation effort with the implementation of a regional kerbside FOGO composting scheme, managed by DWM for processing at the DWM landfill site. In the development of the Greater Toowoomba Waste Management Facility (GTWMF) effort was put into allowing the facility to reduce the time required for staff to manage the facility and to become automated over time. The objective was to allow the facility to be the test site for a regional network of automated facilities managed from a central control room over an area of nearly 13,000 square kilometres. Each element of the network is scalable and integrates with other components to reduce cost. Each component of the system has a specific function with many serving multiple purposes through the integration. Systems which are being integrated include: electronic gates; digital CCTV; ANPR (licence plate CCTV); thermal CCTV; security and access control; building management systems; digital signage; and touch screens at the gatehouse. Data from licence plate cameras will reduce the time taken to record data, but will also track exactly where every vehicle travels on site, which can then be linked to transaction management and strategic pricing. In addition, the live CCTV also monitors any OH&S issues. Ultimately, the integration of the systems will allow for real time management of the GTWMF, followed by future management of other facilities from one location.